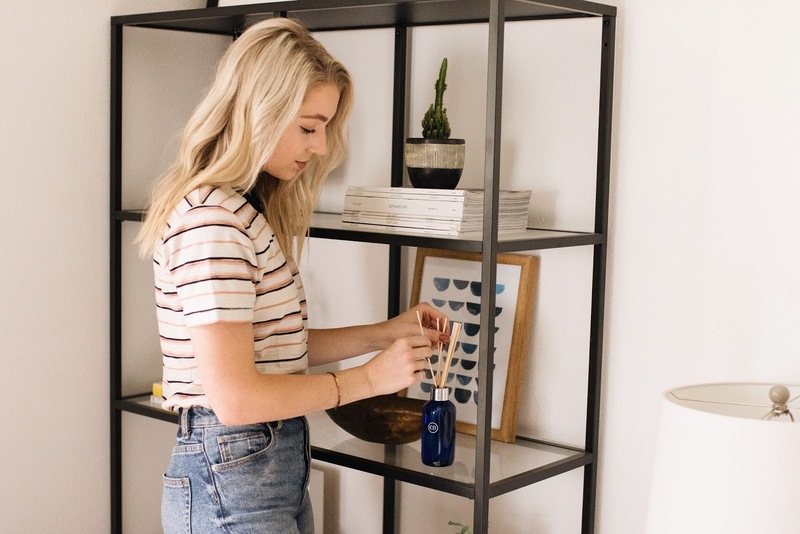 As someone who works full time beyond blogging (and has another side hustle too), I am always looking for ways to de-stress and to make my home as relaxing and homey as possible. As a homebody that doesn't get to be home as much as I'd like, I really cherish my time at home and appreciate all the little things that make it better! 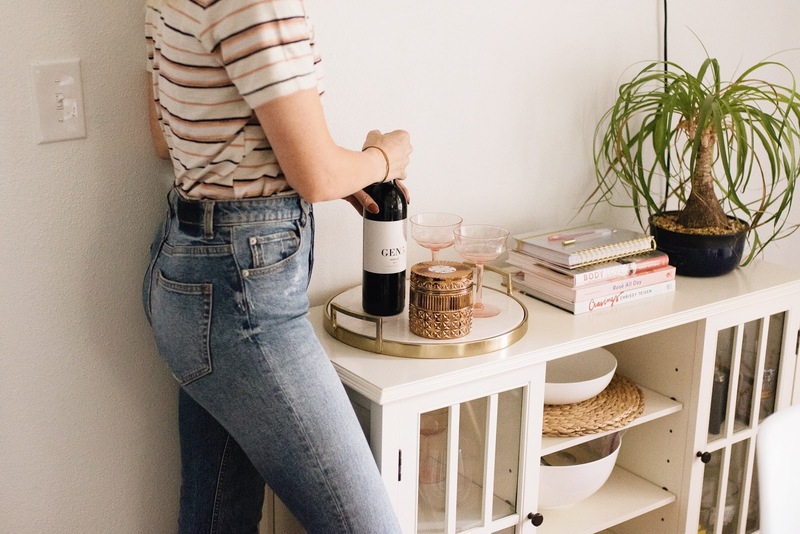 Today I'm collaborating with a brand I absolutely love, Capri Blue, to share some ways I make my home (and my routine) that relaxing oasis that I definitely need in my life! 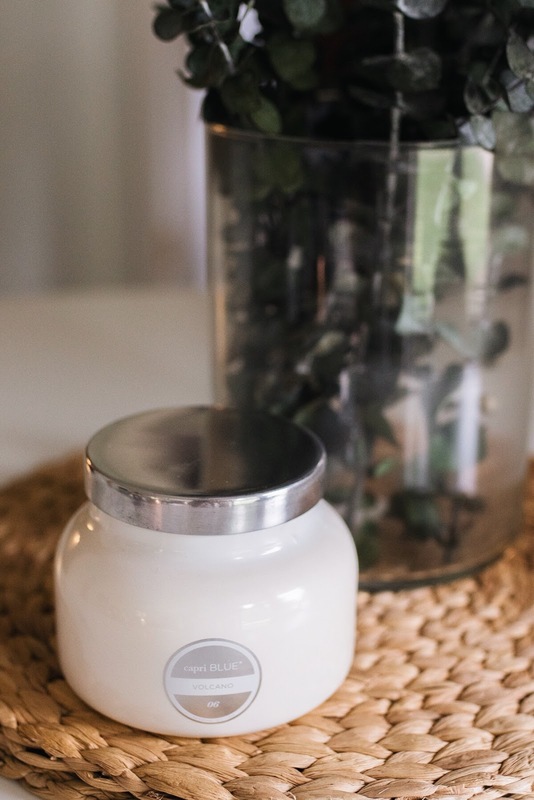 With two indoor dogs (that are sometimes a little stinky), I really rely on products that help make our home smell good 24/7. Their reed diffusers are so effective, and look beautiful too! I don't have a good sense of smell, so sometimes I can be a bit "nose blind" and worry that our house smells like doggies, but a friend came over the other night and commented on how good our house smelled, and I knew it was because of this reed diffuser! To be honest, I used to dread cooking, but over the last year or so I've come to really enjoy it. This is partly because I love learning about nutrition and now really look forward to making nutritious meals, but also because I've learned to turn it into a relaxing, enjoyable experience for myself. What used to stress me out after work is now something I look forward to so that I can unwind a bit in the evenings. 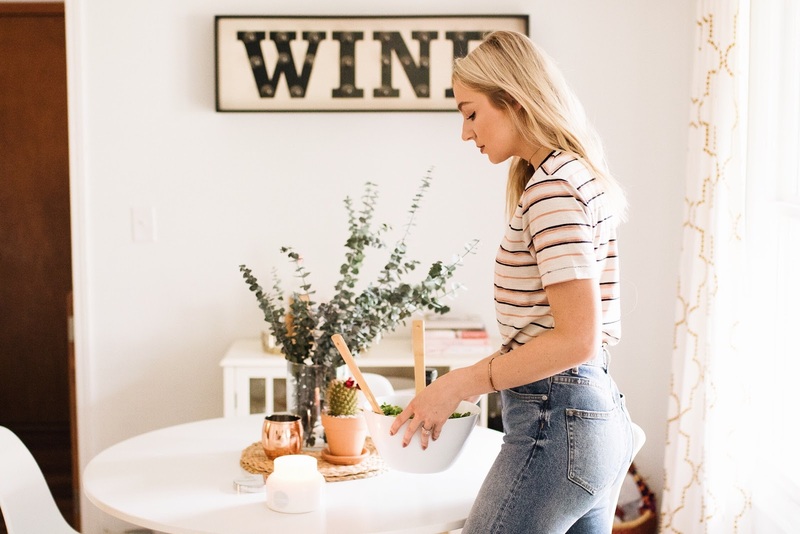 I like to listen to music or one of my favorite podcasts while I cook, and also love to light a candle in the kitchen or dining room. I find the smell to be so relaxing, and that the candlelight helps create that positive and peaceful energy I want in our home. I've found that Capri Blue candles have a much stronger aroma than other brands, and last longer too. Since I don't have a great sense of smell, I love that I can actually smell their candles throughout the entire house when they're burning! 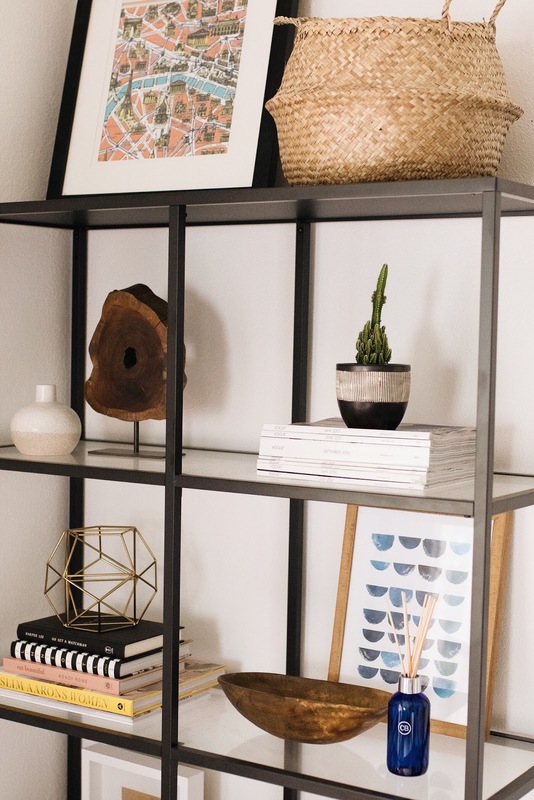 Home decor is also huge for me because it's something I really enjoy, and because it really sets the mood and energy of your home. I love walking into our house when it's clean and when the decor is giving off the vibes I want. Something I love about Capri Blue candles is that they're so pretty! The aesthetic is seriously on point and fits right in with my home decor. I've always loved using candles as decorative accents, and theirs are simply the best for that. 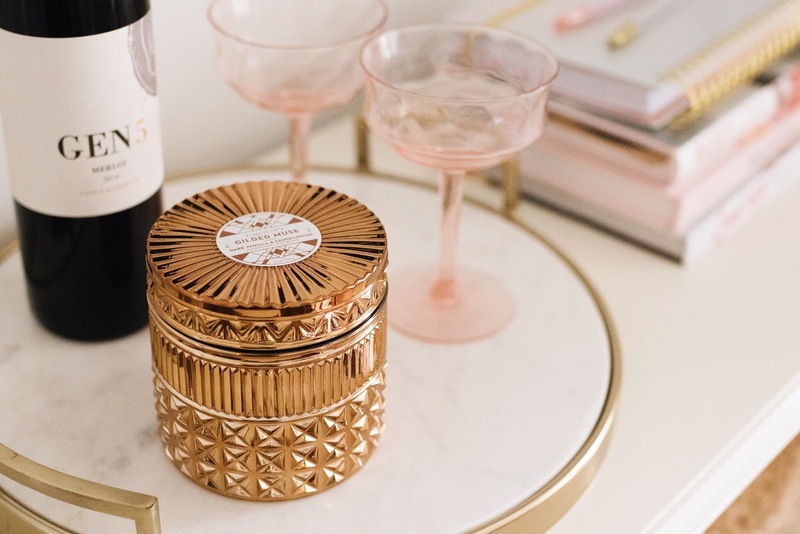 My nightly skincare routine is also something I look forward to doing to unwind each evening. As I get into bed I set my phone aside for the night and put on my hand cream. I've always had dry hands, but this hand cream is a dream for moisturizing, and it smells absolutely heavenly! What are some little things you have in your home or do on a nightly basis that help you create a relaxing environment and routine? I am always looking for new things to try! Thank you for reading this post and for supporting brands I love and get to partner with! 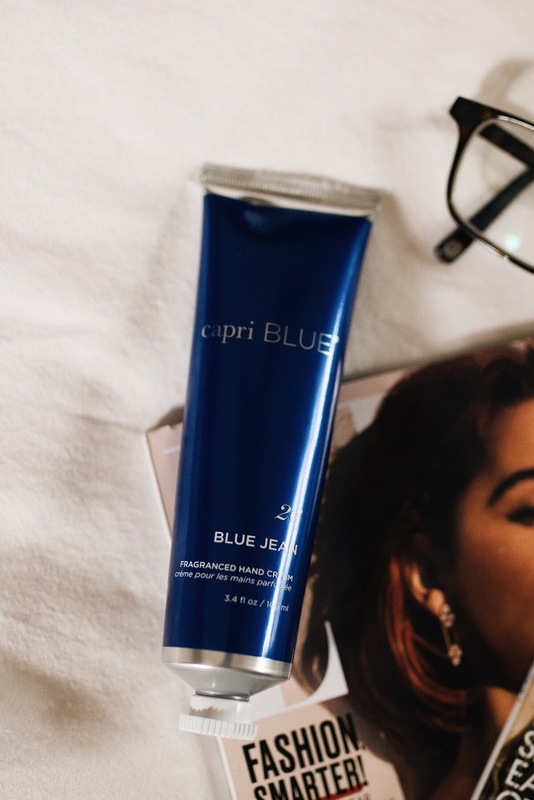 I already had Capri Blue products around my home before partnering with them, so I was really excited to work with them to bring you this post!